The Google Pixel and Pixel XL are the to Google what the iPhone is to Apple. The Pixel phones run a stock version of Android, have amazing cameras, and are very well designed. These phones are Google’s vision of what Android should be. But, does that mean that they are the phone for you? There are many arguments to whether you should choose an Android phone over an iPhone. And there are much more arguments on the opposite. Most of these decisions come down to the individual but there are some things that you should take into consideration before choosing one over the other. 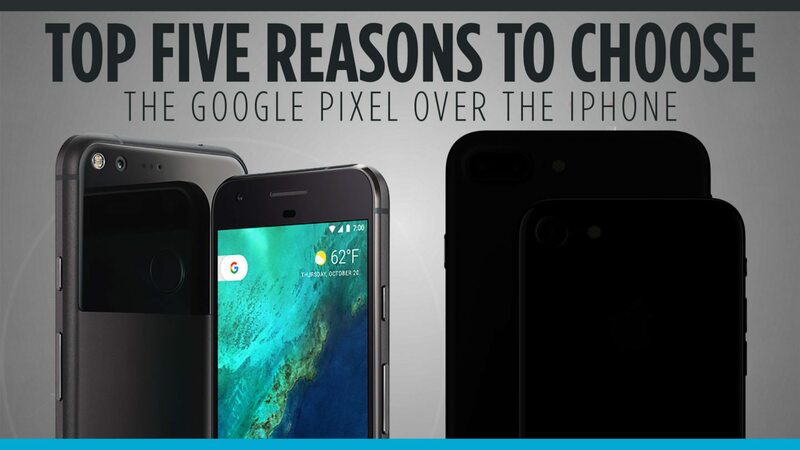 In the video below, I outline the top five reasons, in my opinion, that you should choose a Google Pixel, or any Android phone for that matter, over an iPhone.